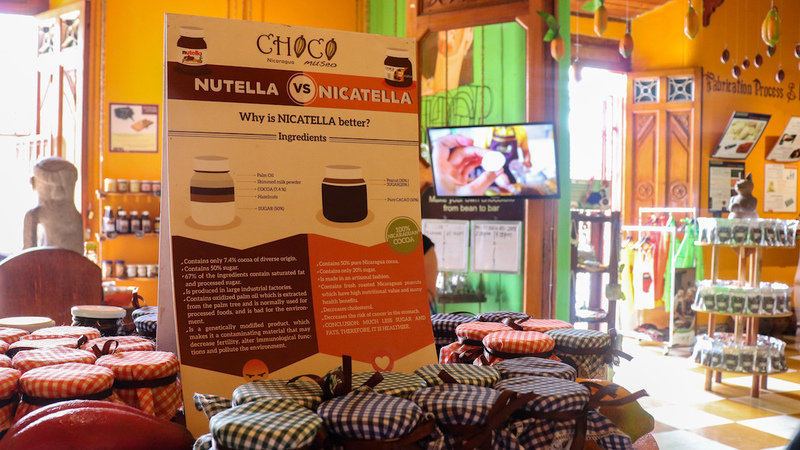 ChocoMuseo in Granada, and its chocolate hotel (Mansion de Chocolate), chocolate museum, chocolate shop, and chocolate spa, celebrates all things chocolate, providing an informative introduction to the chocolate industry in Nicaragua. There’s even a chocolate making workshop for those who want a hands-on way to learn more about the ‘bean to bar’ chocolate manufacturing process. Nicaragua’s conditions, near the equator with a humid tropical climate, are ideal for cacao cultivation. 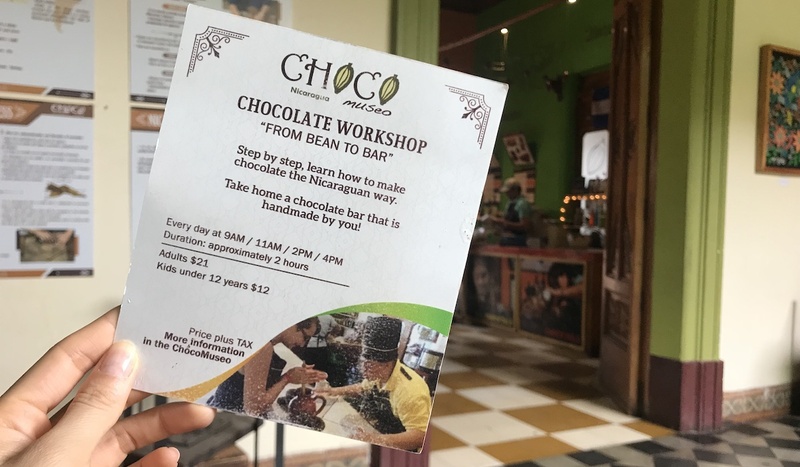 For $21USD/person, you can get an interesting and tasty introduction to the world of chocolate manufacturing through a hands-on 90-minute workshop on the history and production of chocolate in Central America. As a basic introduction of the “bean to bar” process, we learned that there are 5 typical steps in turning natural cacao beans into chocolate: fermenting, drying, roasting, peeling, and grinding. We all had a chance to roast cacao beans on a pan over fire (where Alejandro made us dance around the fire to show our best moves), stirring with a big wooden stick. 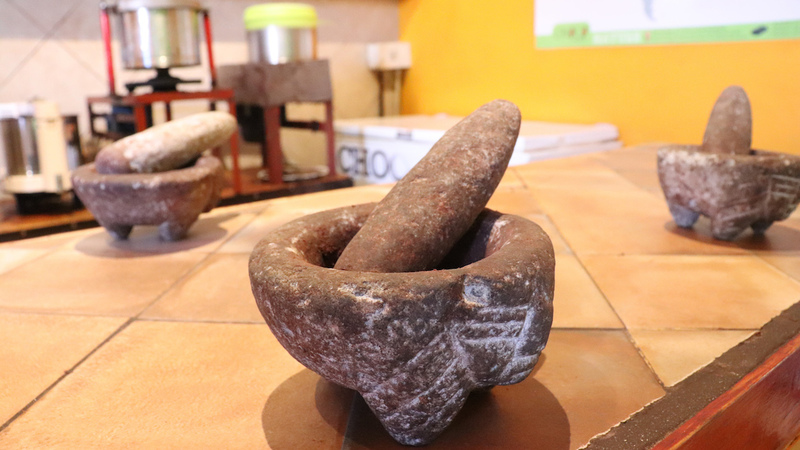 We then hand-peeled the shells off the beans, and ground them in a stone mortar and pestle. Surprisingly, instead of crumbling into a dry dust, the ground cacao had a paste-like texture, formed from the natural oils which appeared from the roasting process. The final ground cacao, which is 100% dark chocolate, is then mixed with other ingredients like sugar, milk, and spices, to give it a less bitter taste and creamier texture. There were several opportunities to sample chocolate in its various forms throughout the class including chocolate cream liqueur, chocolate milk, and a warm white chocolate peanut butter spread. Each participant also made their own chocolate bar to take with them, customized to our personal tastes with additional ingredients like sea salt, chili flakes, cashew nuts, raisins, cacao nibs, marshmallows, and/or coffee. If there’s anything you wanted more of from the class, there’s a chocolate boutique where you can buy everything from Nica-tella (AKA. 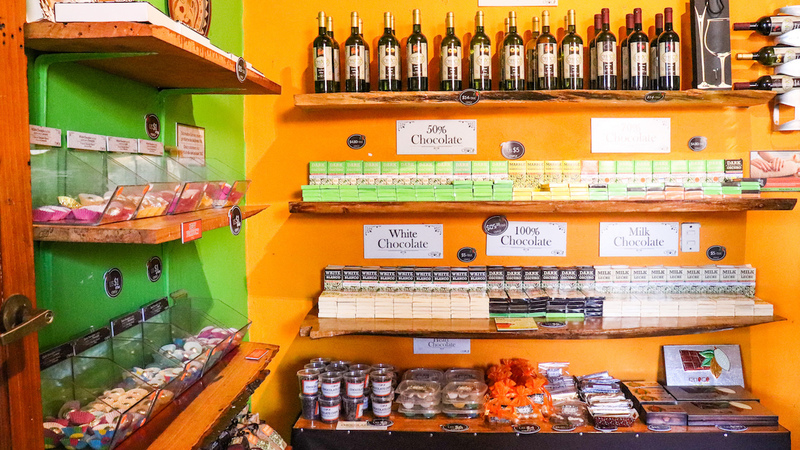 Nicaraguan Nutella), to chocolate bars, to chocolate tea, and more. Throughout my travels, the only similar experience I’ve had to the ChocoMuseo chocolate making class was visiting an organic cacao farm in Panama, but that mostly emphasized the farming side of cacao, rather than the history or creation of a chocolate bar. Overall, this was a really fun and highly interactive class. 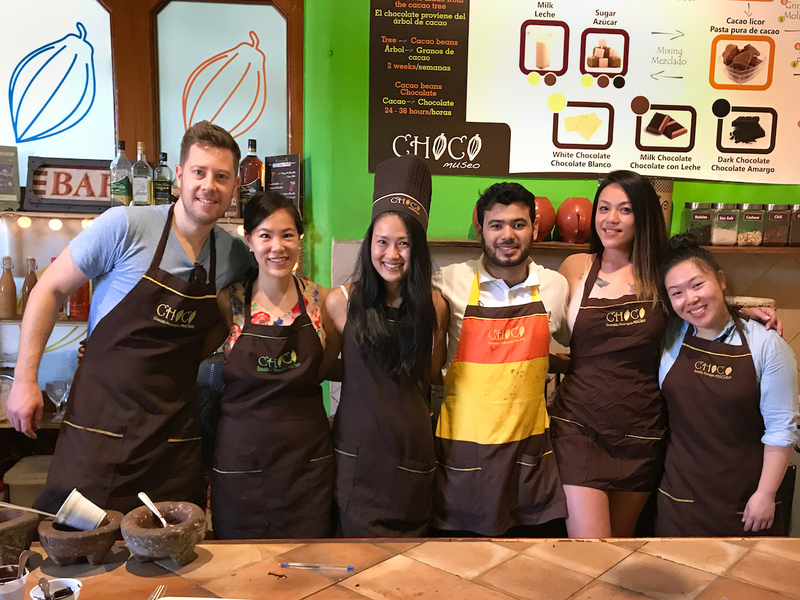 If you are interested in learning more about the origins of chocolate and the “bean to bar” process, be sure to add this Chocolate Making Class to your activities list when you’re in Granada. 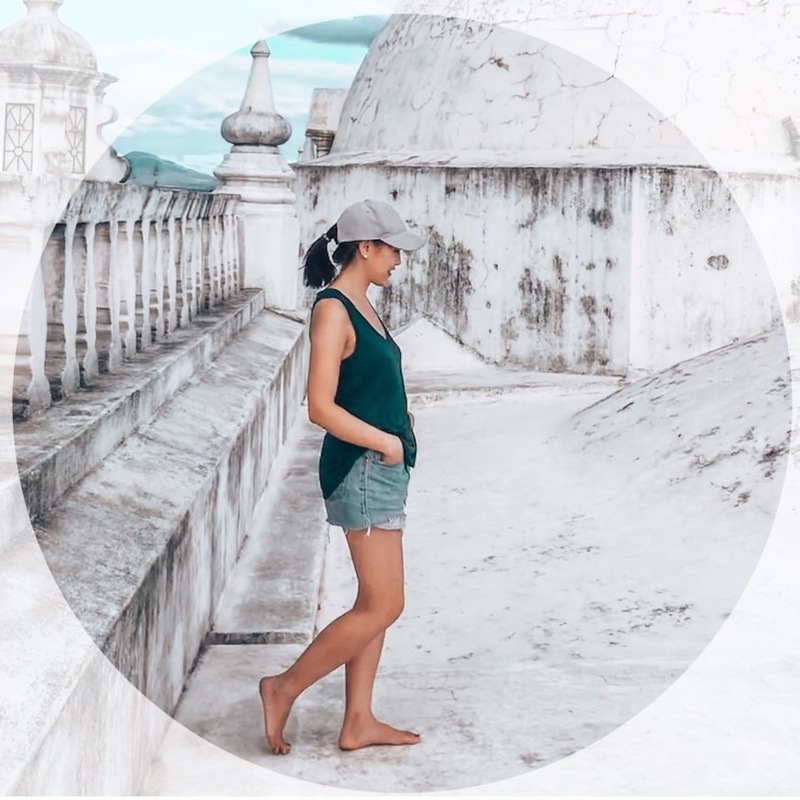 Don’t have a trip planned to Nicaragua any time soon? ChocoMuseo also has locations in Peru, Mexico, Guatemala, Colombia, Mexico, and the Dominican Republic. 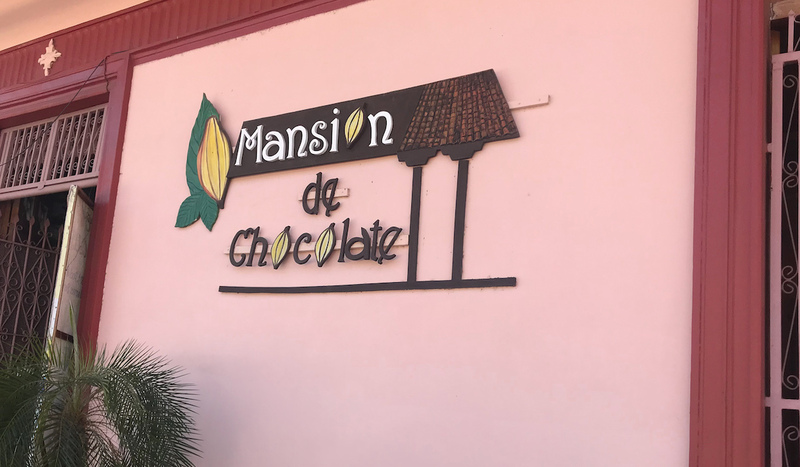 If this chocolate-ly goodness still isn’t enough for you, you can also book a stay next door in the Mansion de Chocolate, a 15-room boutique hotel, get a chocolate spa service (chocolate massage, manicure/pedicure, etc. ), or purchase a day-pass to the hotel’s swimming pool for $6USD. Thanks to Mansion de Chocolate for hosting us at your chocolate class and hotel. As always, all opinions are our own. Vanessa thank you for all your beatiful history about us, your visit to Mansion de Chocolate and Choco Museo. Regard from all the Hotel Mansion and Choco Museo team!